Mexican textiles have a long tradition within the indigenous cultures in Mexico. When you visit the small towns in the South of Mexico, you can still find people using and wearing authentic textiles. The tradition among Mexicans seems to be disappearing as more people immigrate to the bigger and more modern cities, and try to fit with society. Unfortunately there is not a lot of respect for "Mexicans Indians" in the urban places, and government and society don't do enough to preserve their culture and traditions. There is now a wave that is trying to keep the traditions and culture that make Mexico such a culture-rich country, but we are years away from seeing some results. Some of the initiatives we are seeing are teaching of the indigenous languages in elementary schools in some regions in Mexico such as Mayan in the Yucatan Peninsula. Authentic Mexican clothing is very appealing to foreigners who visit Mexico for its color and delicate pattern. Most garments are handmade products (embroidered or woven) which puts a considerable amount of labor into the product. The issue Mexicans artisans are facing is competition from China and other countries producing copies of their popular designs. Genuine textiles from Mexico follow the same millinery techniques and have that special touch that makes them unique and authentic. The history of textiles in Mexico is heritage worth preserving. Mexican blankets are made out of natural fibers wood or cotton. Mexican rugs, which are usually colorful with wonderful designs. Some made with natural inks and a process to treat the threads. 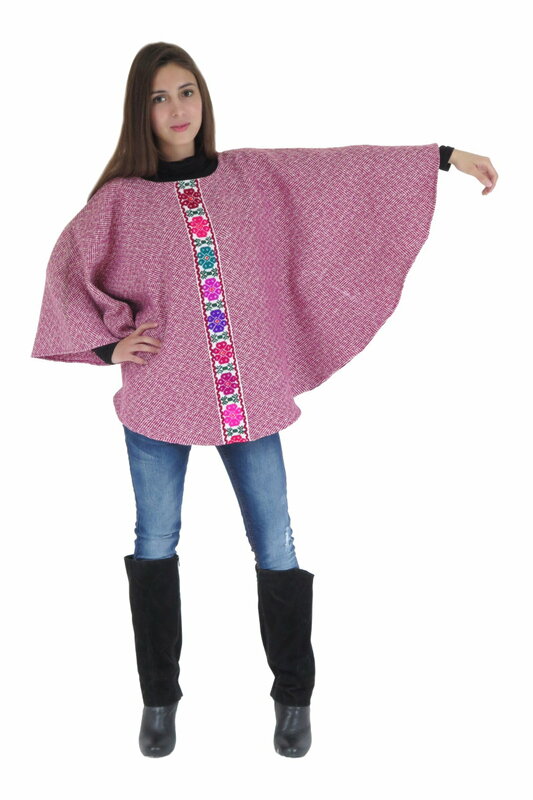 The world famous Mexican poncho, comfortable, warm and give you that different look. Bedspreads with beautiful embroidered designs decorate your home with a sophisticated touch. The Mexican rebozo which originated in colonial times, extensively used by women today. It is also a luxury garment used for special celebrations. The Mexican hat very popular around the world thanks to its iconic image. It is now part of Mexican culture. Huaraches or Mexican sandals which are perfect for wearing in hot weather and are always in fashion. The best thing about Mexican textiles is their unique design, color and beauty. Please comment below to let us know how you use your Mexican textiles.